In 1970, a Wayne, New Jersey newspaper executive and three other defendants were found not guilty of murder. The prosecution believed they were part of a counterfeit operation with ties to the mob. WBGO’s Ang Santos with more on a film project, that’s taking a look back into the case. The short film Passaic is a flashback to gritty times in northern New Jersey. It’s centerpiece, two murders that resulted in what would be the longest murder trial in state history at the time. There's still unanswered questions. The case remains unsolved. “To this day people that are involved in the case know that the truth never came out,” said Michael Klausner, writer and producer of the film Passaic. The movies characters have different names, but the real-life story remains the same. Its main character isn’t the newspaper publisher accused of murder, but a reporter from a competing paper. That reporter is Michael’s father Howard Klausner. Set to the backdrop of corruption, Klausner says the film is really a father-son story. Several characters depicted in the film are still alive today, but Michael Klausner says he’s not concerned for his safety, like his father was in the 1960’s. 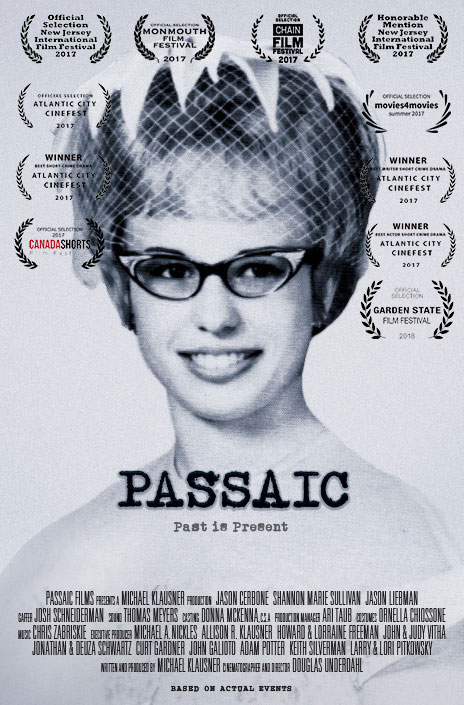 Michael Klausner submitted Passaic to that film festival. He says it was rejected. It has been accepted to the upcoming Montclair Film Festival in April. Who is Sara Spencer Washington? In the early 1920’s, Sara Spencer Washington was travelling door to door selling her homemade Apex beauty products. Knights of New Jersey explores four essential parts of the Renaissance Faire. Honor, Courage, Loyalty, and Turkey Legs. Lots of Turkey Legs. It does so through the comedic life of fictional Renaissance Faire performers Sir Robert of Arden Dale and his mostly trusty squire Tom. Director Michael Hadley says Knights of New Jersey started with a visit to Medieval Times in East Rutherford. “I thought, what would it be like to have that as your day job? To actually punch a clock, swing a sword, and that got me thinking about that lifestyle,” said Hadley.